Charmant Hiuchi Ski Resort. Hidden snow haven near the Japan Sea. Charmant Hiuchi Ski Resort is a very small ski resort with just three ski lifts but it does boast a respectable 510 metres (1,670 feet) of vertical descent and eight trails. 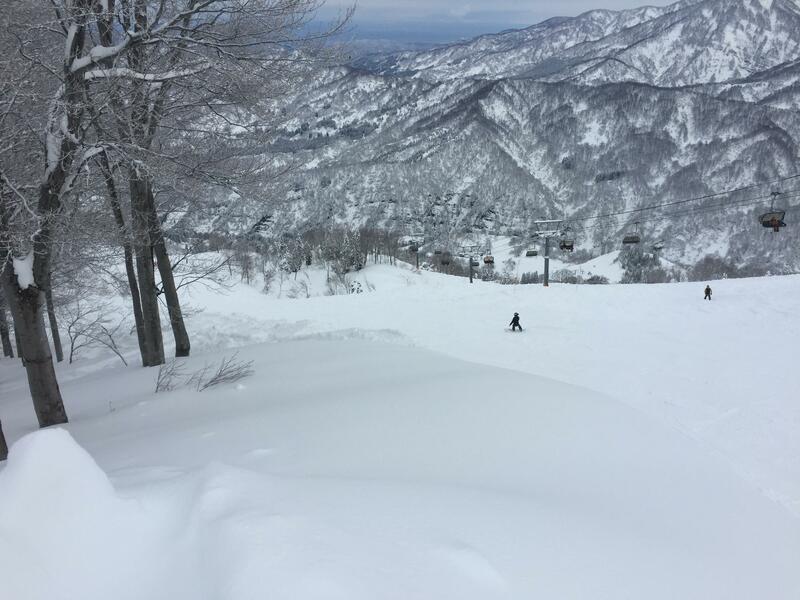 Charmant Hiuchi was designed by Mr. Nobuo Otake (a celebrated snow park producer) with powder skiers in mind so therefore is best suited for intermediate-expert skiers and snowboarders. Nonetheless there is also some terrain for beginners too. Foreign skiers may not know of Charmant because it is a local ski resort owned and operated by the local community. 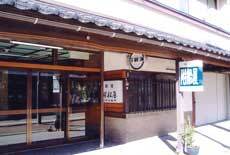 It opened in the late 1990’s well after the soaring peak of Japanese ski interest had passed. You should get to Charmant if you like deep, easily accessible powder runs. There’s lots of ungroomed areas to play in, a 1,000-meter powder lane and you can ski almost the whole mountain using only one lift. Charmant Hiuchi Ski Resort is designed with advanced skiers in mind so not many beginners are on the slopes. It’s located high above the ocean, with views of rugged Mount Gongen to the northwest and the unspoiled beauty of Mount Hiuchi and Mount Yakiyama visible to the south from the peak. Snow permitting, the resort stays open until the second week of May. Charmant is one of the few ski areas in Japan where you can actually see the sea while you are carving turns. Not surprisingly, there is some great seafood in the local markets on nearby Route 8. For park rats there is a reasonable size snow park located close to the base of the quad lift. It consists of one make, box and rail as well as spine hip and drumcan. On weekends and holidays there may be a big air bag available. Because of it’s position close to the coast it can sometimes be getting great snow at times when the inland resorts like Myoko, Madarao and Nozawa are getting none. Watch for a severe cold front coming off Siberia over the Japan Sea and snow reports along the Japan Sea – that’s when your snow should be primo at Charmant Hiuchi. This hidden snow haven near the Japan Sea is a healthy distance from Tokyo but is now more accessible via the new Hokuriku Shinkansen. Simply get off at Itoigawa, take the train back up towards Naoetsu and get off at Nou. On the weekends and holidays there are paid shuttles available from the station but on the weekday you’ll need to organise a taxi transfer. If you want to make the most of this resort we’d recommend renting a car. 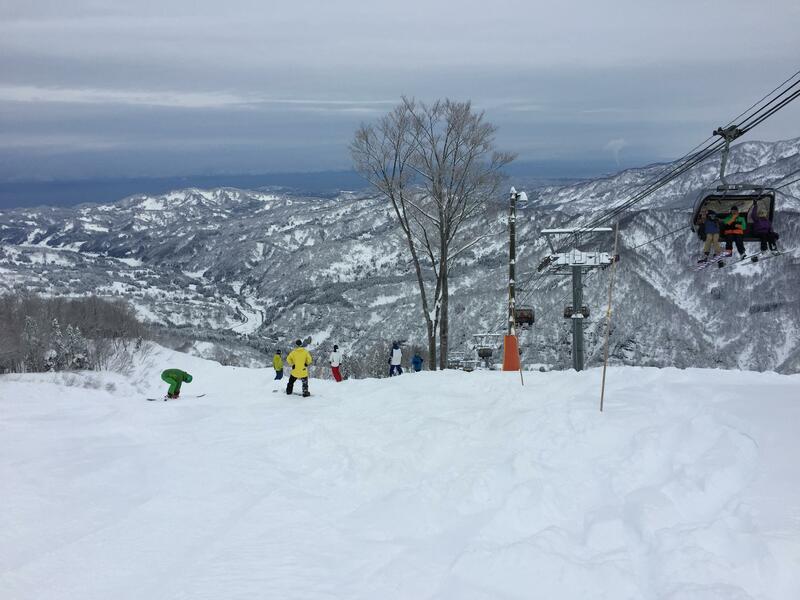 If you already have a car and want to get to Charmant Hiuchi Ski Resort, just head past Nagano City and Myoko Kogen towards Joetsu City. When you hit the Hokuriku Expressway take a left towards Toyama and then get off at the Nou IC. From there follow a local road around 16km up the hill until you run into this hidden snow haven. There is a restaurant/cafeteria building at the base of the resort (see pic below) with a restaurant on each floor that sells the regular gamut of Japan ski resort fare – ramen, tonkatsu, curries, etc. with reasonable prices. As an example for ¥1,000 you can buy a tonkatsu and beef curry + rice bowl, or for only ¥800 a large steaming bowl of soy or miso ramen. For another ¥300 you can enjoy an ‘all you can drink’ deal (soft drinks). Day passes are a very reasonable ¥4,000 per day but there are discount coupons available online. One will cut ¥1,000 off a regular day pass or you can get a ridiculously cheap deal on lift ticket, lunch and onsen for only ¥4,200 (sample below). Check this link and this link for first hand trip reports of Charmant Hiuchi Ski Resort. There is no accommodation in the immediate vicinity of the resort. There are a handful of local inns in and around nearby Nou but information is not easily available about these online. The most easiest to find accommodation to stay in would be in Naoetsu close to the train station for easy access, such as Hotel Heimat, Century Ikaya Hotel or Tsukefuneya Ryokan.